LARGE Oil Slick Pad 11.8" x 8.5"
Just released on April 20th 2017! 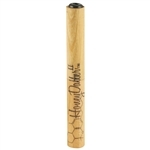 The HoneyDabber II™ is the newest innovation from Honey Labs! It features all of the value and benefits of its predecessor, with the added capability of using replacement tips! Made possible by the use of a medical grade silicone friction mount fitted to the inside of the mouthpiece.